As Standing Rock’s resistance shifts from the hills of the Dakotas to the courts of DC, both Archambault and Tilsen reaffirmed that nonviolent demonstrations over the broader issue of environmental justice would not wane. Archambault also confirmed that the Sioux are open to working with any tribes that reach out and that, despite having already marched on Washington twice, they would be willing to march again if it fits with the tribe’s goals. “I would hope what we get out of [the Standing Rock protests] is not just indigenous people’s standing up, but that people around the world become more mindful of how they power their phones, how they power their vehicles, what they buy, and what they consume,” Archambault said. On June 14, almost a week after the Wallace Fund’s recognition of the Sioux’s clean-energy efforts, a federal judge ordered the Army Corps of Engineers to “reconsider” its environmental review of the Dakota Access Pipeline. The 91-page decision stated that federal permits issued for the pipeline failed to consider oil-spill effects “on fishing rights, hunting rights, or environmental justice,” and thus violated the law. Plans for the original review were announced just two days before Donald Trump’s inauguration and would have offered alternative routes for the final section of the 1,172-mile-long pipeline. They were effectively discarded just four days into Trump’s presidency, when he signed an executive order expediting “procedures and deadlines for completion of environmental reviews and approvals” necessary to finish the highly controversial cross-country project. Two weeks after the executive order, Archambault was on his way to Washington to meet with William Kirkland, the White House deputy director of intergovernmental affairs, when he received notice that the Army Corps of Engineers had terminated the environmental-review process and would issue a permit for the highly contested Lake Oahe easement. Archambault canceled his meeting, which the administration had pushed back after originally scheduling it for earlier in the week. The Dakota Access Pipeline has already leaked three times since March, even before it was fully operational. When oil began flowing through the finished pipeline on June 1, there was still no oil-spill response plan in place for the section that crosses the Missouri River near the Standing Rock Reservation. 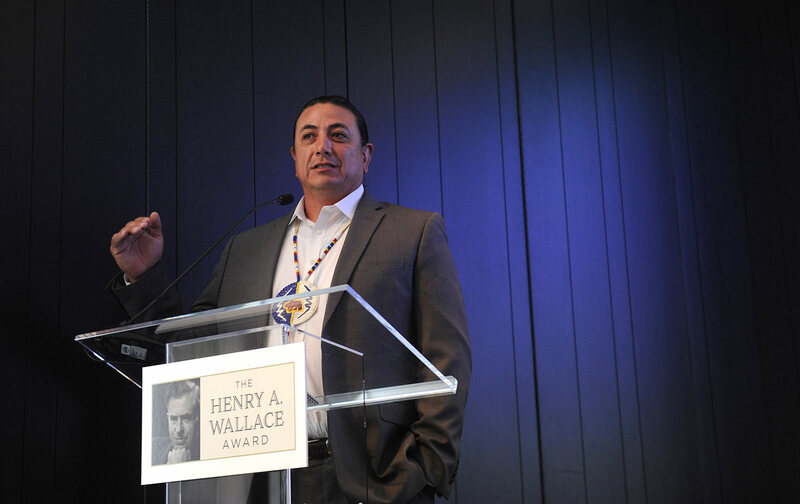 According to Archambault, the Sioux have been excluded from the process of creating any such plan, despite the fact that portions of the pipeline run “just 500 feet” from the Standing Rock Reservation. The parties in the Sioux lawsuit are expected to meet with the judge this week, and the Army Corps of Engineers is likely to argue that the pipeline doesn’t need to be shut down in order to complete the environmental review. But if the events of the past week are any indication, this fight—like the larger battle for indigenous and environmental rights—is far from over. Abbey WhiteAbbey White is a freelance culture and identities writer. She has written for Vox, Paste Magazine, USA Today Network, 5280 Magazine, and The Mary Sue.